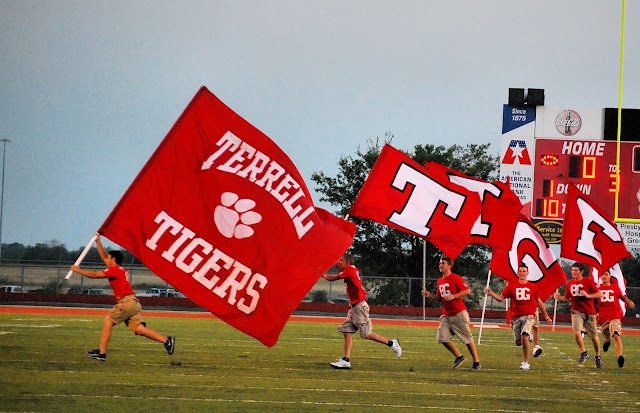 The Tigers road show travels to Mesquite tonight to take on the Pirates from Poteet High School. Both teams sport 2-0 records heading into the District opener. Kickoff is set for 7PM. The NFL season gets underway tonight with the Saints visiting the Super Bowl Champion Packers. My forecast Saints 27-24. Wheelchair Tennis superstar and three-time Paralympic medalist; Randy Snow, who was from Terrell, has been nominated posthumously for induction into the International Tennis Hall of Fame. The local NBC affiliate had an interview last night with the parents of Staff Sgt Shawn McNabb, who was killed in Afghanistan in 2009.